We will probably never know what the Rangers manager said to his side following an insipid first-half – notable only for a Mikel Arteta free kick that broke the deadlock just before the interval – but it seemed to work a treat. The Light Blues emerged out the tunnel with a reinvigorated approach and within eight minutes had netted a further three times to conclusively put the result beyond any doubt. Late cameo debuts for youth players Ross McCormack and Gary McKenzie put the sheen on what was – eventually – a decent afternoon’s work from McLeish’s men. 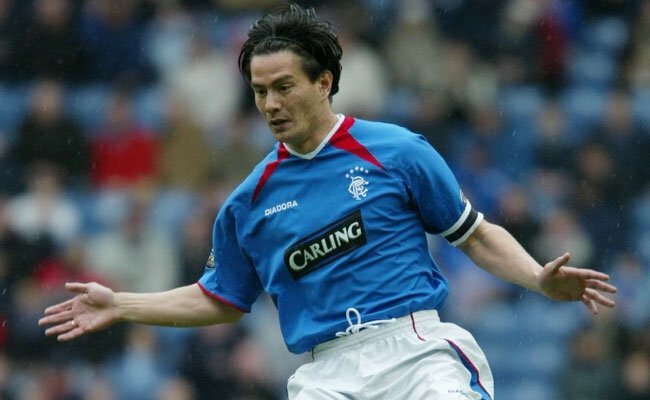 The manager’s options had been again severely curtailed by injury, with Gavin Rae and Michael Mols the latest names to be added to the escalating list of casualties. With Steven Thompson the only recognised top-team striker available to him, McLeish was relieved to see the former Dundee United man stuck on the bench as Scotland slumped to another defeat in midweek. 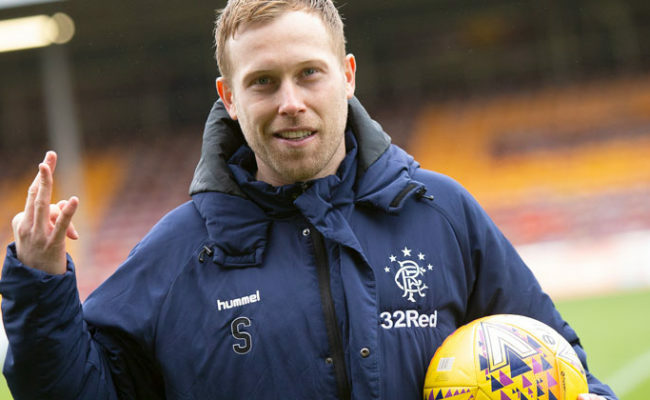 Fresh from that respite, Thompson carried the burden of Rangers’ attacking responsibilities in a forgettable first half, nodding a Chris Burke centre narrowly wide before thumping a shot against Gordon Marshall only to be penalised for tangling with Stephen Craigan. With the team lacking width on the left-hand side and Hamed Namouchi asked to perform in an unaccustomed striking role, there was little else to report with both teams seemingly content to pass the ball about and enjoy the spring sunshine. Burke shot into Marshall’s midriff, Fernando Ricksen skidded a header wide and Namouchi saw a fierce snapshot well parried by the ageing keeper and just when it seemed the half would end goalless, Rangers snuck a goal a minute before the break. Arteta – who had been otherwise relatively subdued – was bundled to the ground by Craigan and picked himself up to curl a sweet free kick past the lunge of Marshall. It was a rare moment to feast on in a dismal first half but whatever McLeish said at half-time must have paid dividends as it was a charged-up Rangers who appeared after the break. 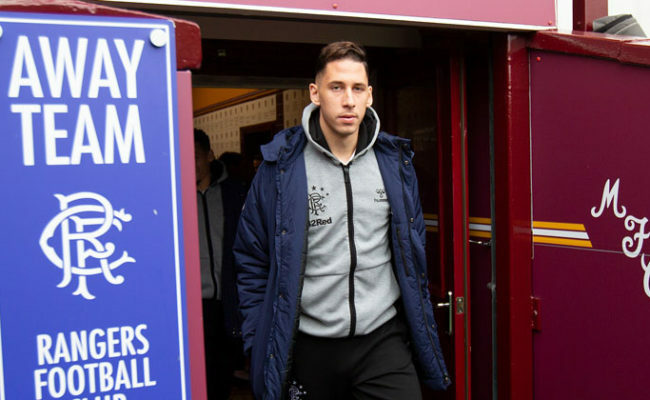 Alan Hutton was replaced by Mo Ross and within a minute the defender had scored his first goal of the season, latching onto a great ball from Burke to slam past Marshall at the second attempt. Four minutes later and it was 3-0. Frank de Boer – making his 500th competitive appearance – dissected the Motherwell defence with an inch-perfect pass and Namouchi was first on to it to slide the ball past Marshall. 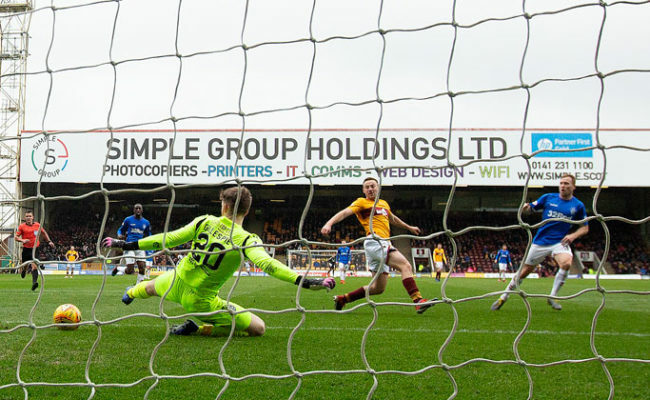 This was a remarkable transformation from McLeish’s men and Motherwell – who contributed precious little to the game – just couldn’t cope with their attacking prowess. The Light Blues were looking like scoring with every attack and after 53 minutes they were four-up, a delicious Paolo Vanoli cross powered past Marshall off the head of the hard-working Thompson. 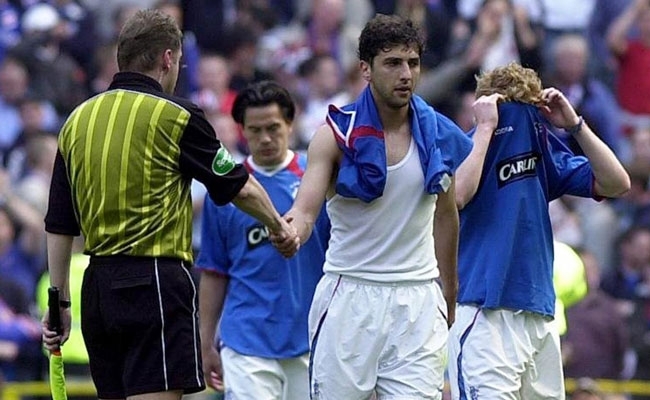 The only complaint at this stage was the frustratingly inconsistent officiating of Stuart Dougal, who had earlier booked both Hutton and Ricksen for innocuous challenges but chose not to punish Craigan when the Well player stamped on Ross and then tried to strangle Burke. 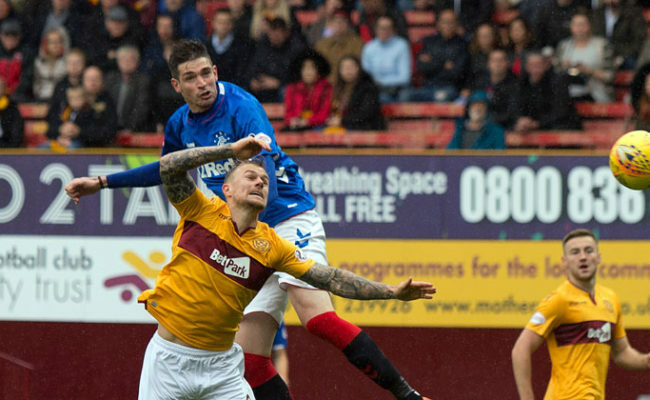 Four goals to the good, McLeish handed debuts to under-19 striker McCormack and towering central defender McKenzie, with McCormack almost setting up Ricksen for Rangers’ fifth while McKenzie looked comfortable at the back on the rare occasions that Motherwell advanced into the Rangers’ half. McCormack could have sealed his performance with a debut goal five minutes from time but watched his shot arc narrowly wide.